Prime Square Technical Services LLC, based in Dubai, established in 2010 provides innovative residential and commercial facility services throughout the Emirates. Our aim is to provide our clients with tailor made facilities management services to improve the day to day running of their properties. To provide complete range of services to maintain and enhance the life of the property, efficiently and economically, with minimum input from the client and to help our clients focus on their core business. 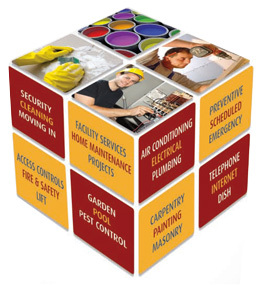 Prime Square offers air-conditioning, electrical, plumbing, cleaning, painting, carpentry, masonry, security and other facility maintenance services from a single point of contact through our business partners. Our services are distinguished by their functional and technical expertise combined with hands-on experience, ensuring our clients receive the most effective and professional service. A 24 hour call center is available on a toll-free number 800 77 87/800 PS TS. 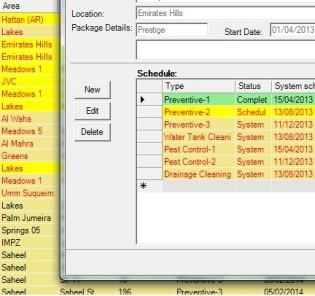 All maintenance calls are routed through the call centre, Registered in Prime Square’s maintenance system (FMPRO), priotized and forwarde to maintenace team for action. Our mobile team with professional uniformed technicians will reach the site, attend the job and report to back office. Maintenance Teams: 8:00 AM to 5:00 PM Saturday to Thursday. Emergency Teams:24/7, 7 days a week. Sustainable: Solutions that balance the life of your assets and environment. Integrated: Sophisticated service using latest technologies to reduce inefficiencies and increase the effectiveness of your asset. Committed: Driven to satisfy our clients dynamic needs by creating reliable solutions to secure your asset for the future. Reliable: Managed by an experienced team of professionals, working on freehold property for the last eight years. Quick: Innovative resource and time management techniques to assure quick service.